Kelly made his announcement through a video posted on social media, and joins the list of astronauts who went on to seek public office. His platform includes a science-based approach to the political issues, and he would be running on the Democratic party ticket. Before his astronaut career, Kelly was a naval pilot who flew during the U.S. Persian Gulf war. NASA selected Kelly as a space shuttle pilot in 1996, and he took four trips onboard the Space Shuttle Endeavour. 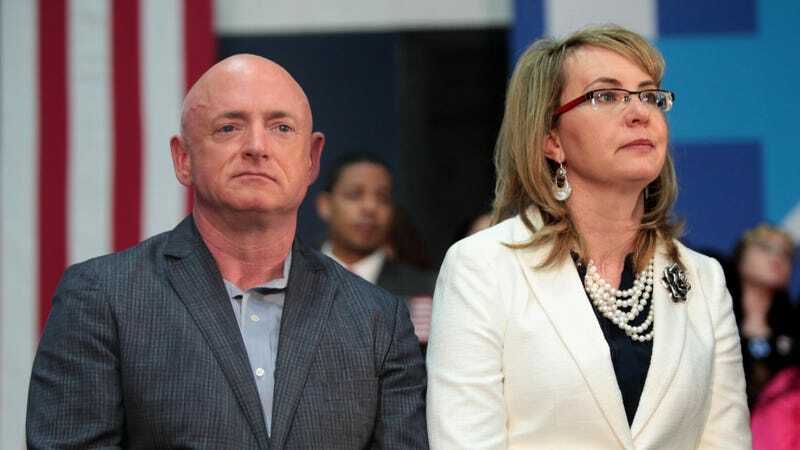 Kelly became well-known to the public after his wife, Arizona Congresswoman Gabby Giffords, was gravely injured in a shooting that killed six other people. He began advocating for gun control policies, and started the super PAC Americans for Responsible Solutions with his wife. That organization is now a research and advocacy group called Giffords with a mission to prevent gun violence. Gizmodo readers are likely also familiar with Kelly’s twin brother, retired astronaut Scott Kelly. Experiments have focused on how space changed him physically compared to his twin, and at the time of his retirement, Scott Kelly had spent more time in space than any other American astronaut. That record is now held by retired NASA astronaut Peggy Whitson. Astronauts have a long history running for public office. Astronaut John Glenn served in the Senate from 1974 to 1999. Apollo 17 astronaut Harrison ‘Jack’ Schmitt represented New Mexico in the U.S. Senate from 1977 to 1983. Apollo 13 astronaut Jack Swigert—famous for uttering the words “Houston, we’ve had a problem”—was elected to the U.S. House of Representatives in 1982 but died of cancer before taking office. The first Canadian in space, Marc Garneau, served in the Parliament of Canada and is currently the Canadian Minister of Transport. Kelly’s push for science-based policy is in vogue for Democratic Party candidates, who are pushing for evidence-supported solutions to issues like climate change, health care, and gun control. A list of incumbent U.S. politicians with science backgrounds can be found here.